Captiva Island is a natural blend of bold beach sides and complex interior wetlands. You are never far away from the water, whether it’s a clear beach suited for open swimming or a tight passageway perfect for a canoe. It’s the best of both worlds. Bird watchers seeking a very adventurous canoe or kayak romp will find lots of fine places to explore on Captiva Island. Perhaps the most alluring and isolated is Buck Key Preserve. Buck Key Preserve is a highly-protected and isolated island with no human inhabitants and a lot of mystery. It is about two miles long, and famous for its interweaving trails. Many individuals are awed and overwhelmed by the density. You only need to head a few yards into the preserve to feel that sense of isolated wonder. Fortunately, the preserve is not solely a massive labyrinth, and you aren’t left on your own. In fact, experts have designated clear trail markers. Furthermore, most people will never want to go in without a professional guide. This is where the Buck Key Paddle Trail comes in. It is one of the most epic Captiva adventures you can find. It’s an isolated journey through the thick mangroves of uninhabited Buck Key. It’s a fantastic place to see some rare birds. The Buck Key canoe or kayak trail off Captiva Bald Eagles is your best and clearest run through the key. Aside from the bald eagles, you have a good chance of seeing manatees, which are curious enough to follow quiet kayakers and canoers. Pelicans, stingrays, and fish, of course, are common sights. The Buck Key trail is about 4 miles long in total, weaving down about two-thirds of the island’s length and back up, hitting the center of the northern end on your way in. The elevation is marked at about 23 feet, and the total trek will take you about two hours. A guide will take you along the trails to ensure that you don’t get turned around. This local tour provider is your go-to source for any Buck Key adventure. 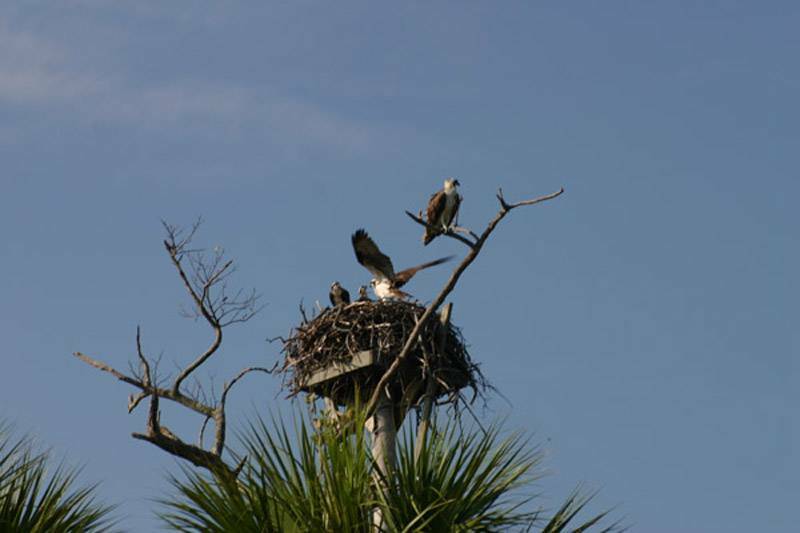 The team specializes in educational tours of Buck Key, Captiva, and the surrounding regions. There is usually a focus on wildlife sighting, which can include manatee mating coves, bald eagle nests, and other popular locations with high animal activity. Tours are available by the hour, but Buck Key trips are usually two hours minimum. These specialized tours are available four days a week, and call ahead booking is essential. Take your adventurous spirit to the next level to see rare wildlife. And enjoy Buck Key safely and responsibly. You can use the address 15951 Captiva Dr, Captiva, FL 33924 for GPS purposes. There is an office and launch point on Captiva, which will stand as your home base. Bring everything you need for the trip to the location, and the guides will help you prepare what you need. This could include a replacement outfit, first aid, food, and more. The Captiva and Sanibel Island communities have a dedicated passion for their wildlife. This is why you can find lots of natural adventures that get you in on the action, delicately and calmly. This is the perfect place to see why so many people love Florida’s gulf coast so much. Finding a manatee and her baby in the mangroves of the Buck Key Trail is an ethereal experience. If you want to know more about Sanibel and Captiva Islands, contact us today. We know the islands better than anyone and can connect you with the perfect vacation home of your very own.